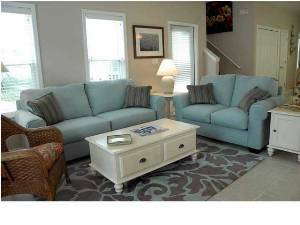 A wonderful beachside vacation cottage, professionally decorated for a sophisticated, yet casual relaxed atmosphere. Our location is ideal for couples or families, just a short walk to the beach and so close to the Silver Sands Outlet Mall. 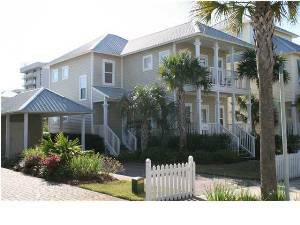 BEACH ACCESS: 2 minute walk to the beach - NO ROADS TO CROSS - deeded community beach access. 4 bedroom with community pool. 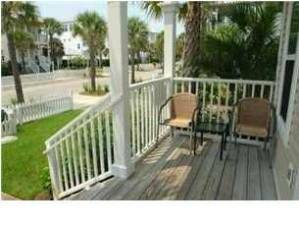 Less than 100 yards to the beach! Small dogs allowed. 1st Floor: Covered front porch. Living area has 37" tv, dvd, vcr with sound system, Sleeper sofa. Dining area seats 6 with additional seating at the bar. 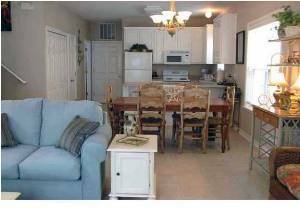 Kitchen has all modern appliances and large bar. 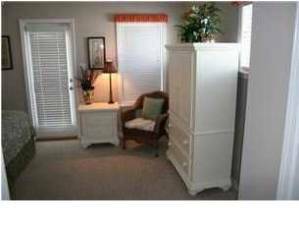 Queen bedroom, 20" tv, shared bath. Laundry closet. 2nd Floor:Bedroom with 2 twins, tv, dvd. 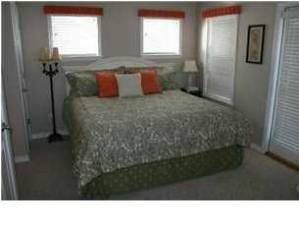 Queen bedroom, 27" tv, dvd, shared bath. 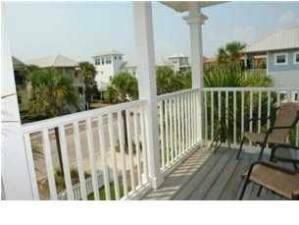 King master bedroom, 25" tv, dvd, vcr, private bath and patio with gulf views. Outside shower and covered carport. Parking for 4 vehicles. 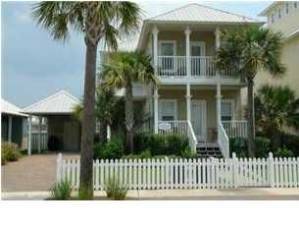 Internet access available Paradise Cottage at Gulfside is just one in a small community of 29 Florida Cottages with palm tree lined streets, sidewalks, heated pool, and easy beach access. Call for Monthly Rates for Fall and Winter!